The room with corner window opens to this beautiful city, flash from the metropolis, which is for the first time here in terms of hitherto imagined. The broken city shows us the endless space divided between its thousands of urban vicissitudes. Its massiveness causes total deconcentration, leading to its urban unknown, loss of its space. There somewhere is the weekly market, north of the city, which produces a hyper active scene full of life. Street stalls, souvenirs, food mixed with the smell of smog, dust and sweetish spices, lush tropical climate and people, Thai people, people foreigners, people everywhere. 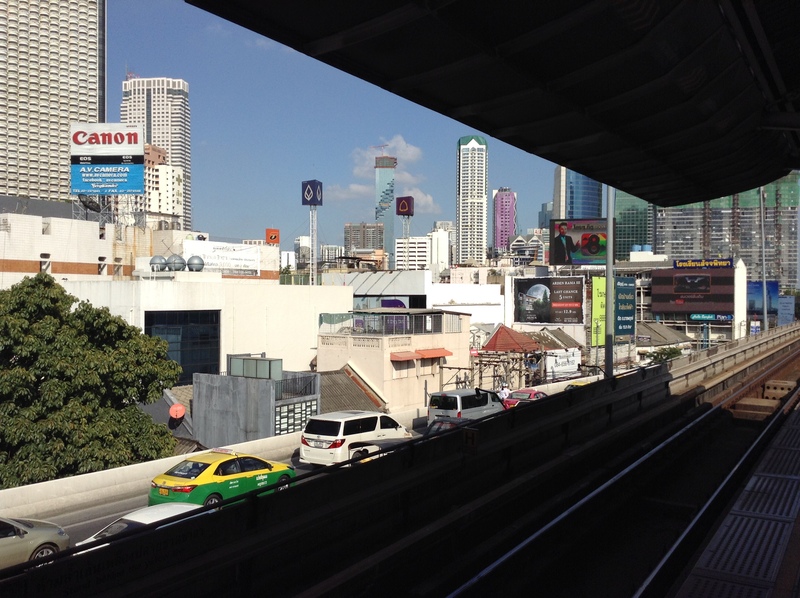 The megaphone from the Chatuchak skyrail station emits cries of camp order, and along with the surrounding universal delirium, faces us with this oriental piece. This majesty of a city is charcterized by different dimensions, levels, substances. Modern conglomerate containing a lot of past and a lot of future. Temples and kings on one side, skyscrapers and slums on the other. Misery on one corner, splendor on another. All this blended in a vigorous cohesion, great tolerance, closeness, cosmopolitanism and even extravangace on certain issues. 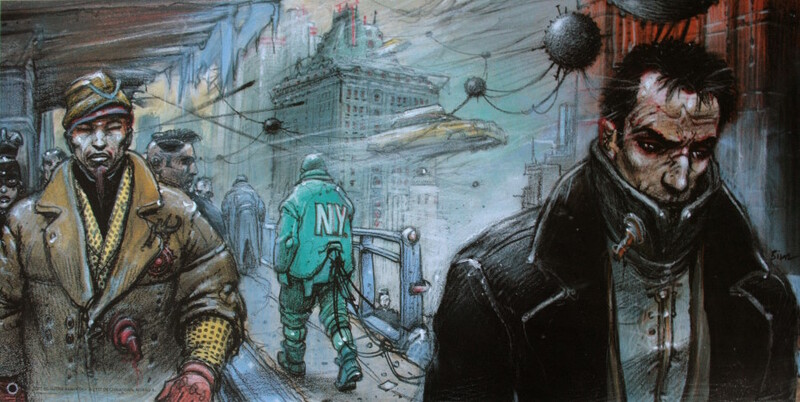 Bangkok offers real futurism, at times reminiscent of the comic master Enki Bilal’s flying traffic cities (certainly not as bizarre as his scenarios). That view from high above is captured through countless levels of transport nodes and nodes ranging between the filled perimeter and dominated by its sequence. Through the skyrail tangle, subway platforms and competitions you can reach the canals along Chao Phraya River, the situations of which produce various rich and dynamic shots. Unlike Europe, where there is a specific architecture and subsidiarity, spontaneous and massive settlements are prevailing here in the absence of any precise placement. The architecture is free from any kind of organization and, as such, is created under the demographic pressure. 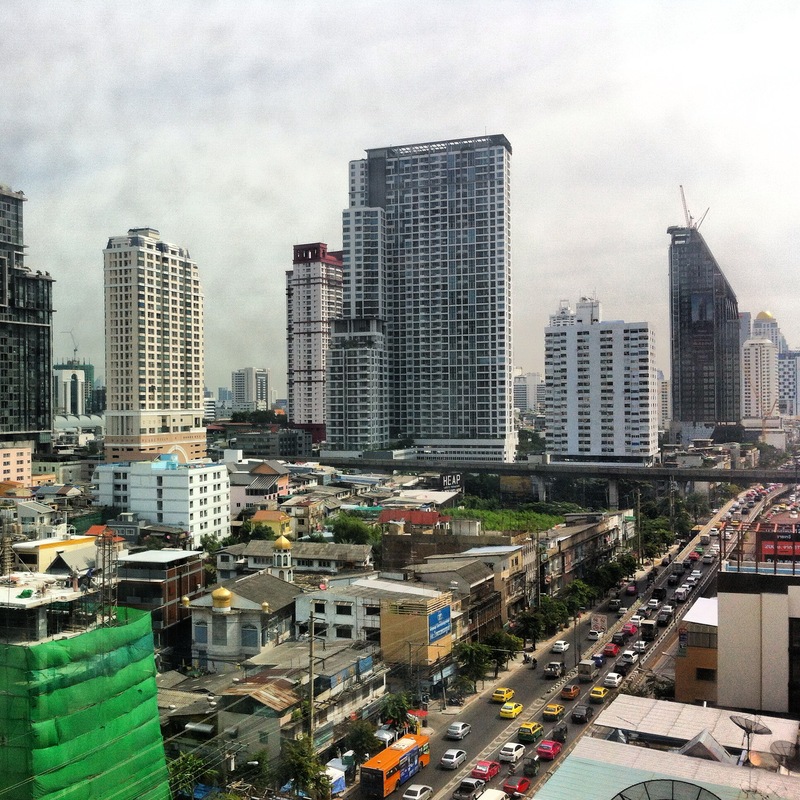 Therefore Bangkok presents a prototype of metabolism produced by the every day frenzy. This Metamorpolis has a special way of transformation. Its citizens still cherish the traditional customs and manage to fit them into the global processes thus ensuring diversity in the urban environment, without getting lost in the post-liberal regime that is very present here. The city is constantly evolving through its flexibility and local habits like Sanuk (collective socializing) and Pbai-tieuw (something undiscovered that must be discerned). It is this cultural specificity that upgrades the central area and contributes to its originality. Such Sanuk urbanism hosts for many surprises and events that happen on the street corners, starting from the kitschy decorated buildings up to the roof terraces. 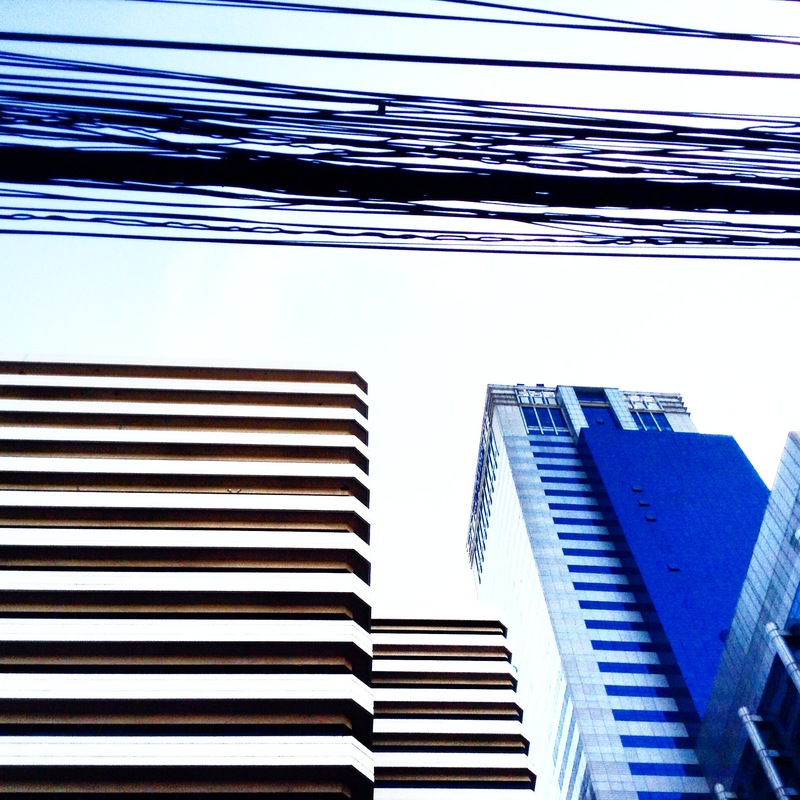 These styles and lifestyles originate from the family context, which also represents historical force in the creation of Bangkok over the years. Affluent urban families still today govern 75% of the urban land. The property they own manages to reproduce economic development creating new conditions that lead to unscrupulous and uncontrolled expansion of the city along the main street spots. 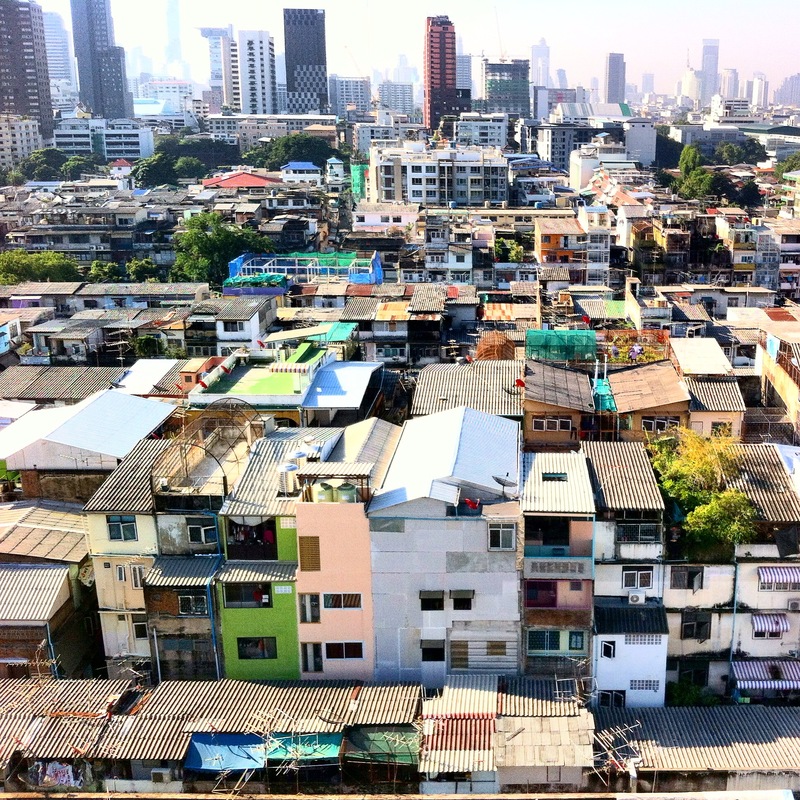 Wide gaps (as seen from the upper floors of skyscrapers) between the main streets are still used as farms or occupied by the poor classes. 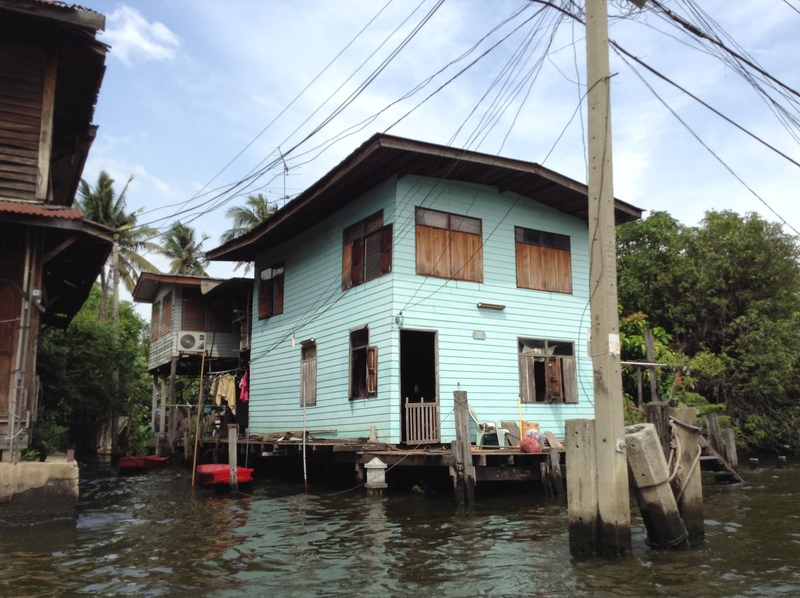 This is notable in Thonburi, west of the city, through the canals passing in this peaceful suburb, full of robust huts barely relying along the course filled with cesspool, filth and neglected vegetation. It is complemented by the floating market, which, together with the offered, creates a tourist attraction. And this fragile image, observed from the yellow boat, sets special aesthetics of rugged beauty with a specific habitat. Strong colors mixed from the public transport are visibly apparent, blending from the lilac and yellow-green taxi to the blue and purple rickshaw. Congested electric cables also take away the attention, the urban cobwebs of which tricky entangle the canopy trees and greenery, creating artificial lаndscаpе, which, along with the pedestrian pavement, continuously indent typical decor. Local folklore decorations in shops crowded with anything interferes with the elegant silk and cashmere markets, while in the surrounding area bigger shopping centers can be found. There is a very interesting local architect who manages to blend in and apply all this in his architecture. 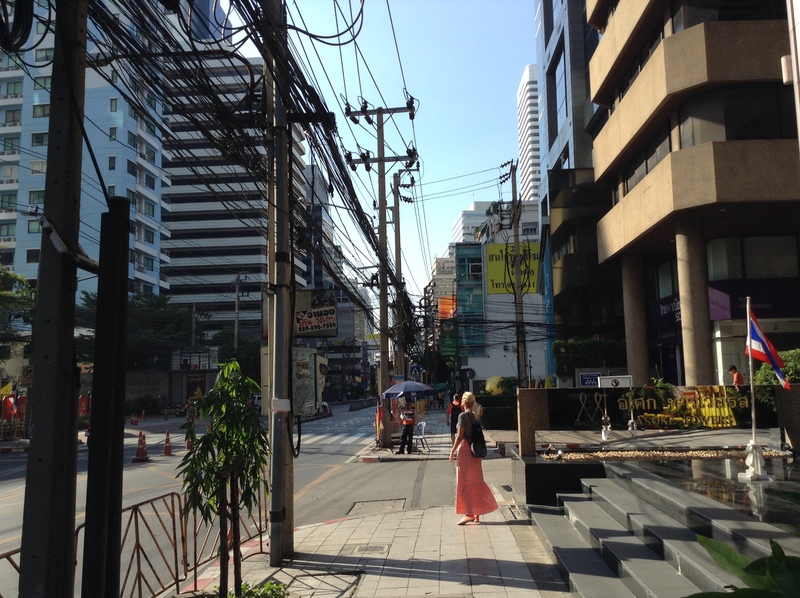 Super machine is an architectural studio with experience based on Bangkok daily routine. Public advertising space is particularly important, filled with world-known products, among whose the King being re-inserted as universal and national brand, whose dominance is reminiscent of the times of socialist parade. Although democratic and liberal, this country fosters an illusion of royal mythology. And certainly, in this crowded insert, most beautiful are the streets of Bangkok where everyone knows that eating is the best, at some of the street corners in Sukhumvit, where the food is better than in any downtown restaurant. Even the most ordinary coconut milk soup can arouse special buds feeling, rubbing in between sweet and sour, while the taste of ginger gives the final “kick”. Thus, sober and seated in a stool with a folding table overlooking directly at the counter where the food is prepared, this meditation calms you in the surrounding apparent world full of oriental anxiety.